While most doctors and hospitals consider 24 weeks gestation viability, many micro preemies are surviving and thriving after being born even earlier. 21 weeks, 4 days is the exact gestation of the baby you’ll meet today. 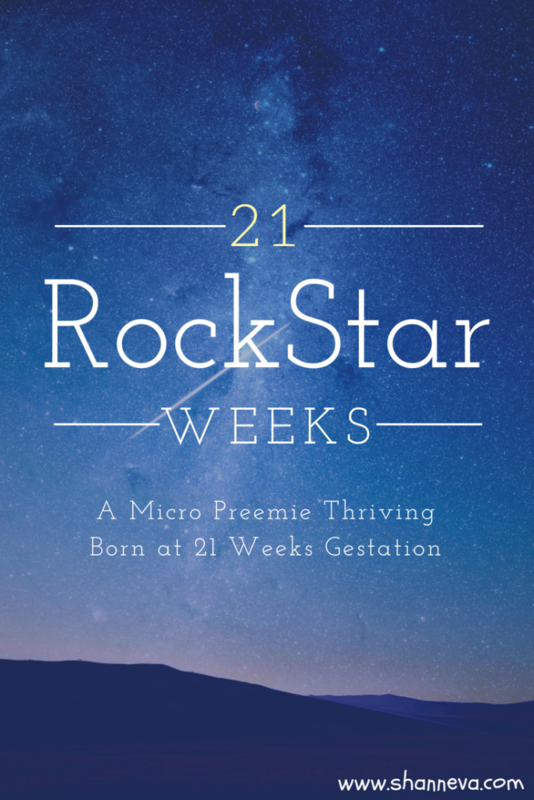 The word miracle definitely comes to mind, as does the word RockStar. In fact, her mom, Courtney, writes a blog called Hope Faith & Rockstars inspired by this amazing girl who was born at just 21 weeks. I’m so honored to be able to share their story, as I share Courtney’s passion for spreading awareness and hope for all our preemie families. My Daughter was born at 21 weeks and 4 days weighing just 410 grams or 14.4 oz. She was 10 1/4 inches long. She was in the NICU for 162 days, and we came home just 3 days before her actual due date. That in itself was a miracle, as we were told that most likely we would be there for at least another month or two. She was on the ventilator for 7 weeks and came home on oxygen. Also, she had Stage 3 with Plus Disease ROP (Retinopathy of Prematurity). Which she received shots of a drug called Avastin in both eyes instead of the regular Laser Procedure. Her doctors said if we intubate her again she may never come off. The Avastin was a gamble in a way, but almost 4 years later her sight is still good, and there is no signs of ROP today. At my 20 week ultrasound, my doctor noticed my cervix was thinning and upon further examination he noticed I was dilated at a 2. He then sent me to the Hospital for bed rest and to be monitored. I was in the hospital for 2 nights when he sent me home to continue my bed rest. Well, 3 days later, I was back at the hospital due to heavy bleeding. I was in the hospital 3 more nights when she came. We were very blessed that my OBGYN was on call that night and with the Neonatologist on call. Some hospitals have policy in place to not resuscitate younger than 23 or 24 weeks, as most believe any younger the survival rate is 0. Well, I am here to tell you they are Wrong. My daughter was born at 21 weeks and 4 days and at almost 4 years, has no disabilities and is happy and healthy. As I stated above, we feel Very Blessed to be given this Miracle Baby. It is not lost on me the true Blessing that she is. I know not all families have the same outcome or are given the same chance we were. That is why I started my blog www.hopefaithandrockstars.com and why I try to give Support, Strength and Hope to other families. My advice would be to document this time in your life, whether it be by writing/journaling and/or taking pictures. I did journal and share with family members daily, but I didn’t take enough pictures. When you’re in this journey, it can be incredibly hard to remember everything, so documenting daily activities can really benefit you now and later. Thank you again to Courtney for sharing her amazing daughter with us. 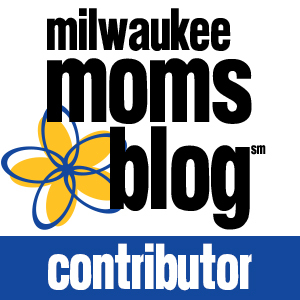 Please make sure leave any supportive comments or questions below, and also to visit her blog. Wow,wow,wow. I am always in of these tiny little humans. I hate that hospitals have these policies in place. The policy should be EVERYONE has the right to have a chance to live. Well done momma!! My wife and I had our daughter at 28 weeks 3 days on November 1st this past year. 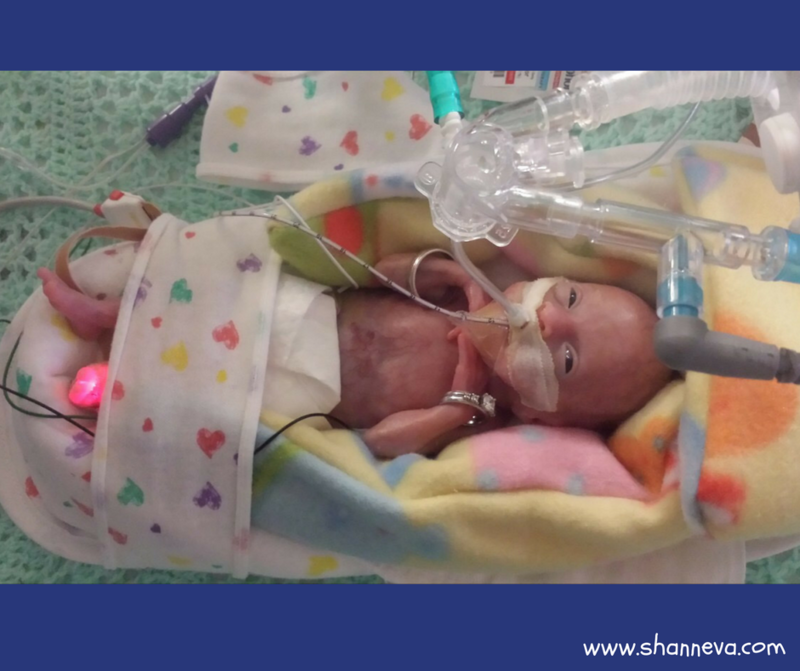 She was born at 2 lbs 15 ounces and dropped down to 2 lbs 7 ounces before she began gaining any weight. The doctors told us they may need to intubate and they told us the same thing, that she would most likely have to say past her due date (January 21st). Not only did she come out kicking and screaming, so they didn’t need to intubate (she did still need a CPAP), she was home by Christmas. Didn’t need oxygen or anything. Now she is almost 9 months old and is too big to fit in 12 month clothes. You would never guess she was preemie. She is intellectually advanced for her age (not her adjusted age, her actual age) and few if any physical delays. She is sitting and standing, going to skip crawling and start walking soon, I’m sure of it. She was and is our miracle. Her name is Elliana, it means my god answered me and it is so fitting. 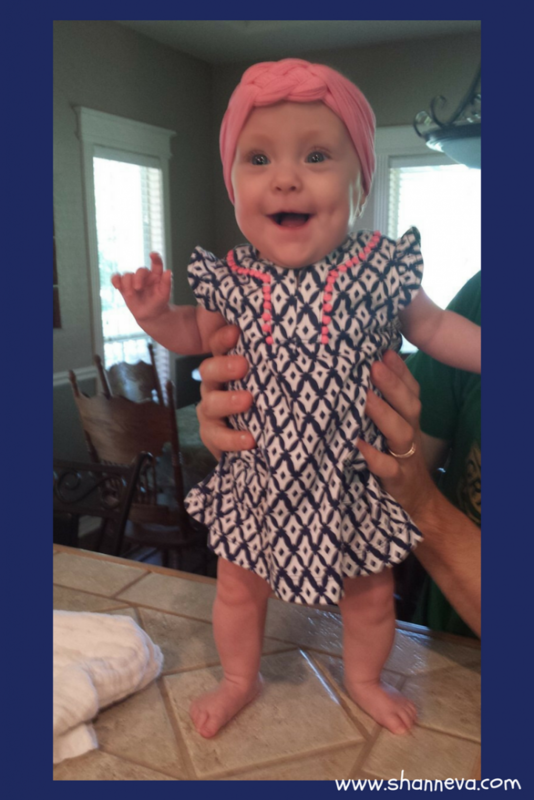 She is a miracle, but this little rockstar may have her beat. I love hearing these stories, these children are amazing miracles and great examples of God’s power and love for his children. Thank you for sharing. Your baby is gorgeous. In Japan viability is 22 weeks. What a true survivor and fighter!! What a strong baby girl. Loved reading her story. Oh my goodness, 21 weeks, that’s incredible! What a strong momma and baby girl!! What an amazing story. Thank you for sharing. She is absolutely beautiful.